EB1 category for immigration visas refers to a First Preference visa category of worker. If you believe you have extraordinary abilities, talk to our Tarshish Cody work visa attorneys to see if you can qualify. Researchers and professors, multinational corporate executives, high salary executives, are a few examples of this category of immigrant who may be granted permanent residency under this program. If an immigrant professional has a job offer and qualifies as a person of exceptional ability, then the EB2 program may offer the opportunity to qualify for an immigration visa. Professionals with top academic degrees or those possessing exceptional ability in business, arts, or sciences can qualify. Our immigration attorneys can discuss whether an applicant without a job offer may still qualify for a waiver from the Attorney General of the U.S. Applicants for an EB3 immigration visa may obtain a permanent work certification from the Department of Labor if certain conditions are met. Typically, it is required that an employer has certified that there are no qualified U.S. works available, willing, and able to accept the same occupation at the prevailing wage in the intended geographical area of immigrant employment. This certification also includes a declaration that the alien employee will not negatively affect wages or working conditions of similarly employed U.S. workers. The U.S. Department of Labor now uses an ETA Form 9089 which replaced an earlier ETA Form 750. The new electronic form has new regulations and improved services as of March 28, 2005. Since filing dates are important, if an employer withdrew an application entered prior to that date, and then refiled for the identical job description after the March 28, 2005 date, will the original filing date be recognized. The U.S. Department of Labor recognizes the filing date as the priority date for immigration certification applications. The USCIS and the Department of State similarly use the same filing date as priority dates. Once the labor certification application has received approval from the U.S. Department of Labor, it should be routed to the USCIS service center with a Form I-140 (Immigrant Petition for Alien Worker). The State Department Visa Bulletin updates current priority dates in process on its website. Our Tarshish Cody attorneys are available now to schedule a free initial consultation to discuss these immigration visa options based on your circumstances. Call 952-361-5556. Immigrants who wish to apply for visas as former employees of the U.S. government, certain international organizations, or who are religious workers, can use the EB4 category. 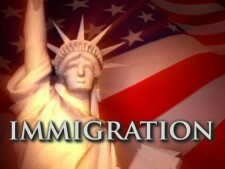 Our immigration attorneys are available now to discuss these options. Call 952-361-5556. Foreign investors may apply under the EB5 program for permanent residency status with a Green Card. When granted, this program grants the applicant, spouse, and children under the age of majority (twenty-one years old) the same Green Card status. This program eliminates the need for in place family connections, a job offer, or operating a business in the U.S. Our Tarhsish Cody attorneys can discuss how to take advantage of this EB5 visa program. In 1992, an Immigrant Investor Pilot Program was established for the purpose of helping economic growth and job creation through the granting of permanent residency for eligible aliens. The effect of this program was to encourage foreign investment in the U.S.
A newer part of the EB5 program is called the Regional Center Program. This pilot program encourages investors to obtain permanent U.S. residency for themselves and their families. This program requires investing $500,000 in a government approved business fund, which will result in job creation in certain sectors of the economy. This program grants a Green Card for the investor, spouse, and children, with no requirement to purchase of run a business. There are no geographical restrictions, and if the application is not approved, the investment money is returned. Most Regional Centers provide for a five-year exit strategy once approved for the investor’s money, and the investor and family can become eligible for full U.S. citizenship after five years. Our attorneys will consult with you and explain that the EB5 program grants a maximum of 10,000 visas yearly, with 3000 protected for the Regional Center Pilot Programs. Details of this program are: A $500,000 investment in a USCIS approved “Designated Regional Center”; Investor’s role must be minimal (such as a limited partnership as offered by most Regional Centers); AT least 10 jobs either directly or indirectly created. Additionally, an investor under this program will document that funds invested have been legally acquired. This is accomplished by submitting tax returns, or other documentation. Some gifts and loans may also be acceptable. Our attorneys at Tarshish Cody will schedule a free initial consultation to help explain and determine if this program is best suited to an immigration applicant’s needs. We welcome your call today at 952-361-5556 (or fill out the free case evaluation form below) to help you through the legal issues of your employment based immigration case.